A few weeks back I decided it was time to go out to a nice dinner with my girlfriend, Stephanie. We have talked about going down to Horizon’s Restaurant at the Lodge (Geneva-on-the-Lake), but never had the opportunity to. This was the best night to go. To start off, the Lodge and Conference Center is a very beautiful location. If you have the opportunity to come to Geneva-on-the-Lake and want to stay over, I would highly suggest staying at the Lodge for a night! With a view right over Lake Erie, as well as small cottages to stay in, you truly cannot go wrong! Now onto the important stuff- the food. Horizon’s Restaurant is gorgeous. From the second you walk in, you know you will be taken care of like no other. When we were seated we decided to have a bottle of wine (which happened to be from Ferrante Winery). This was a perfect mood-setter for our evening. We then decided to get the red roasted pepper hummus, with pita bread. I have slightly become addicted to hummus since college, so I always love to try hummus at different places (not everyone loves hummus so it is sometimes tricky to get). This appetizer was amazing! For our meals, we are both steak lovers, so we both decided to go with that. 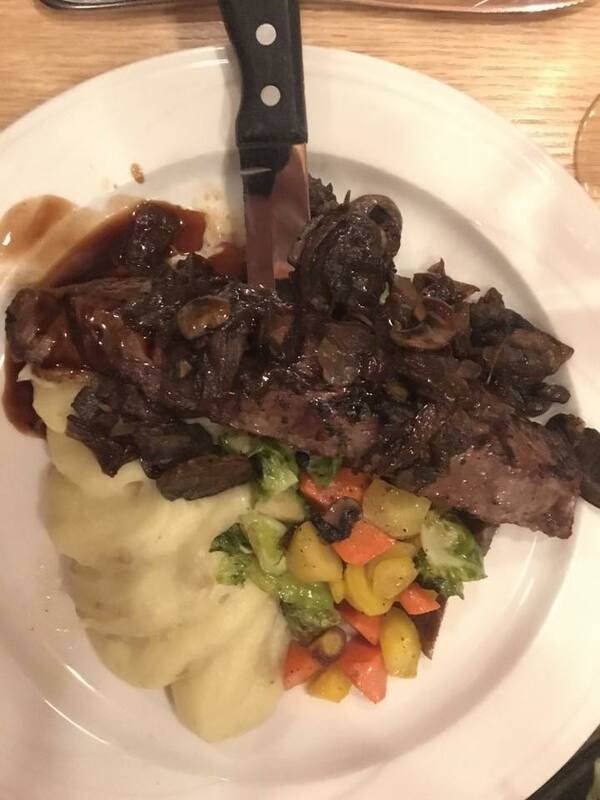 My steak, which is pictured below was crusted with topped with mushrooms and onions and added an extra layer of taste to the dish. The steak was phenomenal! Cooked exactly how I like it (medium), I was tasting new flavors with every single bite. A lot of restaurant claim to know how to cook steak, well this one sure followed through with that. My two sides consisted of mashed potatoes as well as a vegetable medley. The mashed potatoes were to die for, and the vegetables sure did help with the red meat! 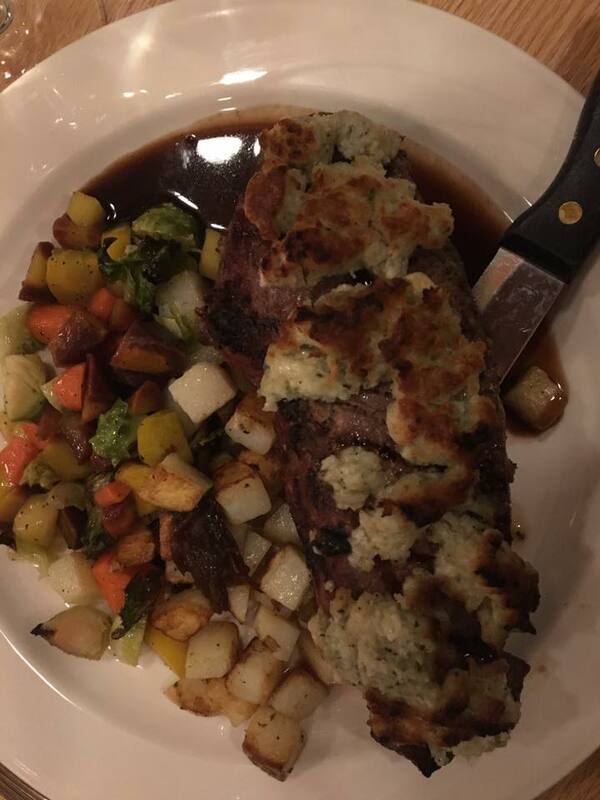 Stephanie got a special of the night, which was a steak crusted with blue cheese! It also was cooked to perfection, just the way she ordered it. You could tell that both of our meals were spot on because even when we were full, we still could push through to eat the last bit. Overall we had an amazing experience visiting Horizon’s Restaurant & Lounge. I would highly suggest getting dressed up on evening and stopping down, I know I will be back time and time again!